Heaven in a bowl. With cauliflower and garlic. 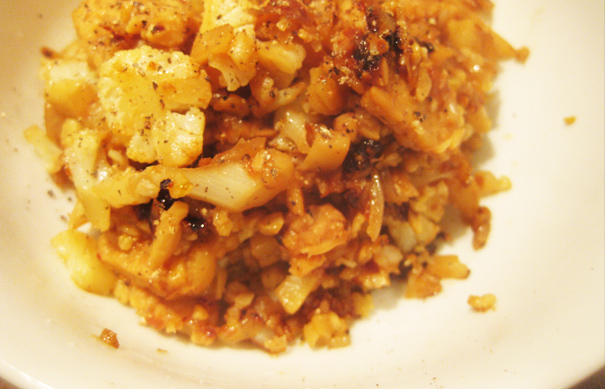 RECIPE: Roasted tempeh with cauliflower and garlic. Pattern often suits me. The same bike route home is soothing sometimes. And I can’t stop making that kale salad. I made more again last night. A huge bowl taking up a shelf in my fridge. Pattern doesn’t suit me when it comes to things like socks. And finding a matching pair doesn’t top my priority list. But hello this recipe from the Super Natural Every Day cookbook. THIS can absolutely become part of my regular meal routine. Is your mouth agape when looking at this pile of wonder? It all simmering on low heat until brown and beautiful like a beach-goer who uses proper sunscreen. Same rule applies: slow cook. Here there’s garlic, scallions, ginger and red pepper. 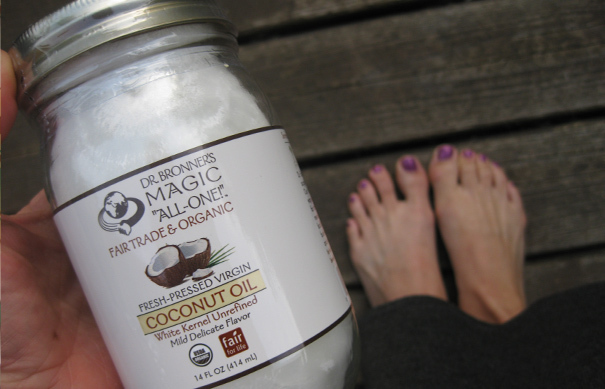 All melting in coconut oil. Amen. And then there’s tempeh—a fermented grain and soy-based protein product (originally from Indonesia, I’m told) that soaks up the flavor of what surrounds it. It’s also fab for vitamin and fiber content, too. 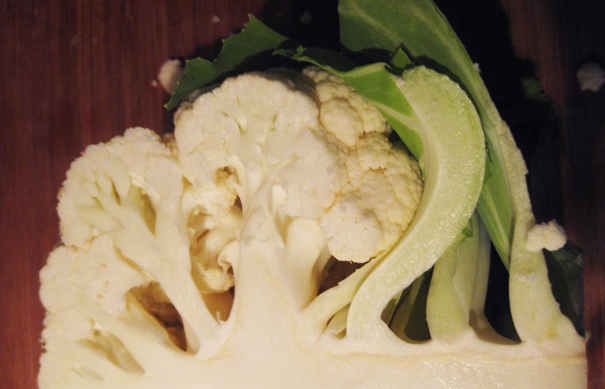 Add in some cauliflower cut into tiny bits. A soy sauce with a dash of sugar. And black pepper. Can I get another amen? The photo doesn’t do it justice. Here it’s just a monotone blob of edibles when really it’s heaven in a bowl. Next time? I’m roasting the tempeh on high heat so it browns, before throwing in the cauliflower. This way, maybe the cauliflower will just steam and keep it’s nice color and crunch. I spy this everywhere lately. And I am in love with blossoming clover. Who knew it was so stunning? 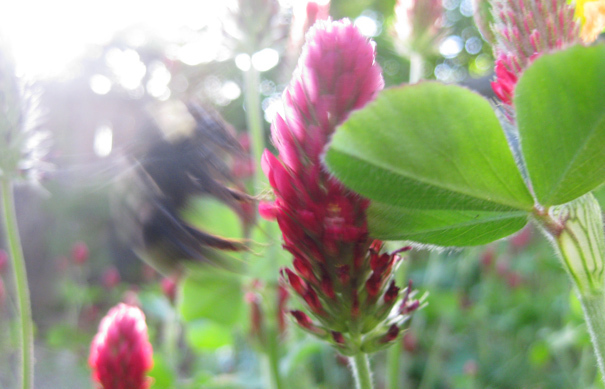 And if you look closely, you can see a bee coming in for a landing, too. RECIPE RATING: 4 of 5 glasses of white wine. I adore the flavors. But will try a different cooking style on some to see if I can create an all-around favorite. I’m writing the instructions for what I’d do the second time around. Place a large skillet over medium low heat. (My cast iron skillet was perfect.) 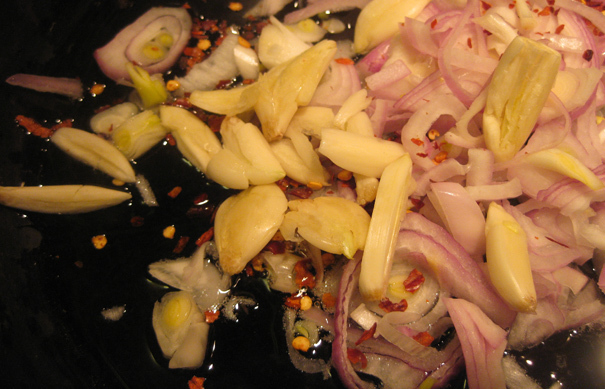 Add the coconut oil, sliced shallots, red pepper flakes, smashed garlic cloves and ginger. Cook slowly. SLOWLY is the key. Over low heat. Stirring occasionally, until the garlic is soft. This should take 15-20 minutes. As it’s cooking, whisk the soy sauce, sugar, and water together in a separate bowl. 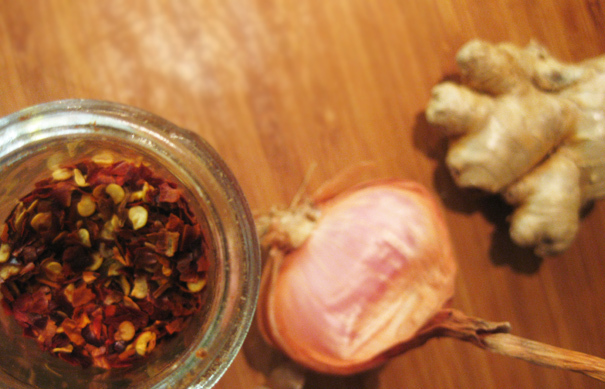 When the garlic softens, increase the heat to medium high and add the tempeh and stir to coat with the oil. Add the soy sauce mixture and stir again to coat. 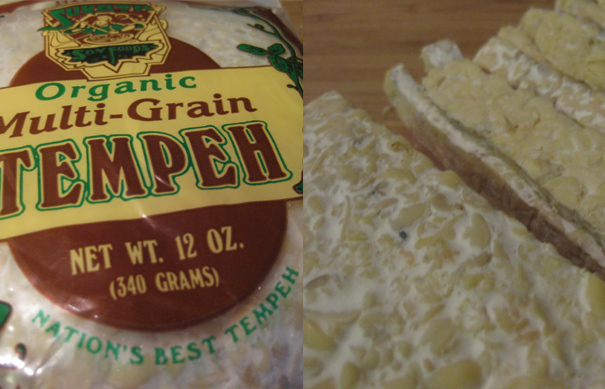 Fry this mixture for 2-3 minutes, on high so the tempeh gets browned (adding more water if the mixture gets dry). Remove from the heat and stir in the black pepper before serving. This entry was posted in 4 Wine Glasses, Dinner, Uncategorized, Vegetarian and tagged black pepper tempeh, cauliflower, coconut, garlic, tempeh. Bookmark the permalink.